Our 2007 Escalade Sport AWD shown in Champagne Metallic earns its premium, flashy reputation with unrivaled style, and luxurious interior. Powered by a massive 6.2 Liter HO V8 paired with a 6 Speed Automatic transmission for impressive acceleration. Gorgeous on the outside, the bold chrome statements, running boards, and attractive 20" chrome wheels grab the eye. Inside, our luxury SUV has 4 doors and 3 rows of seats that can hold up to 7 people, and a large cargo area. Sink into the heated power leather seating with memory. Bose Premium Sound, DVD player, auto-dimming mirrors, remote start, colossal sunroof, Bluetooth, Onstar and so so much more! It's ALL here! 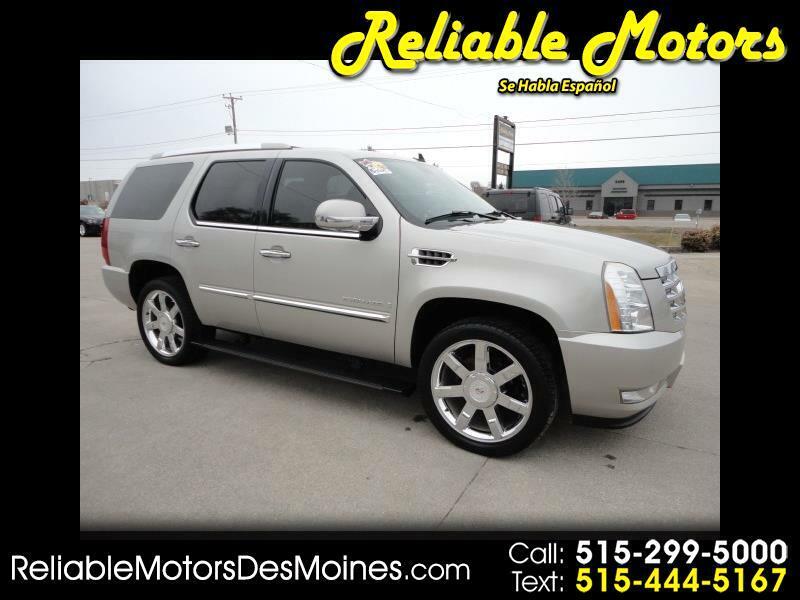 Safety is tops with Cadillac and believe us when we say people notice these elegant SUVs when they see one. It's a head turner! Print this page and call us Now... We Know You Will Enjoy Your Test Drive Towards Ownership!